Miami, FL | Moving through the ranks to hold one of the most prestigious roles within Enron, former Executive VP of Global Human Resources and Community Relations, Cindy Olson, has a proven track record for driving innovation and thought leadership. 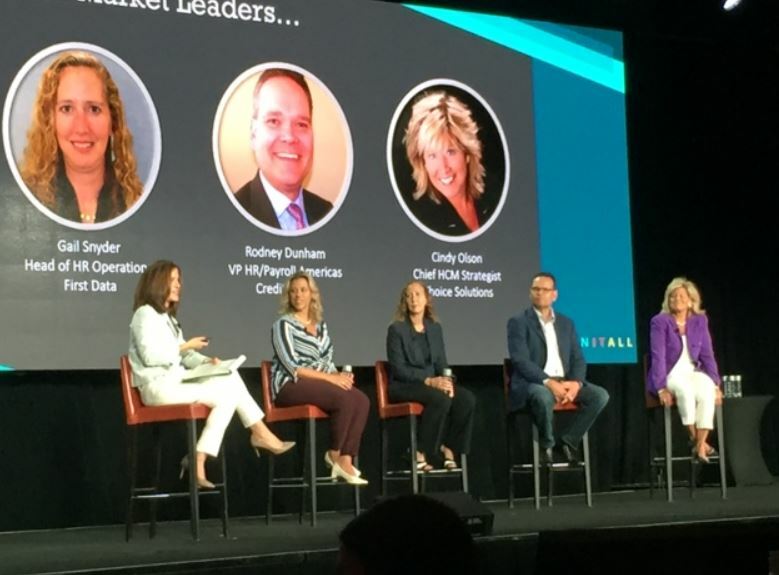 Cindy currently leads the Choice Strategic Alliance and is a sought after speaker and was selected panelist at the Annual ADP Sales Kick-Off in Miami, FL on July 19th, 2018. She was one of four HCM Market Leaders chosen for this event. Currently ADP is positioned as an innovative next-gen HCM vendor in the marketplace. Choice Solutions and the Choice Strategic Alliance works very closely with ADP, as a strategic partner driving awareness of the shifting demands from HR and IT. The organizations work together to bring world class thought leaders together in one location, composed of a group of CHROs, past and present, from successful companies of all sizes. The group discusses real issues and gains vital insights from thought leaders and market influencers who bring elements of culture, technology and talent together. Topics are disruptively innovative and focus on attaining and retaining talent, productivity and profitability delivered by the employee experience. HR and IT collaboration is a vital part of the winning formula as companies are challenged to compete in today’s digital age to deliver a consumer-like experience that is innovating talent as it is demanding.